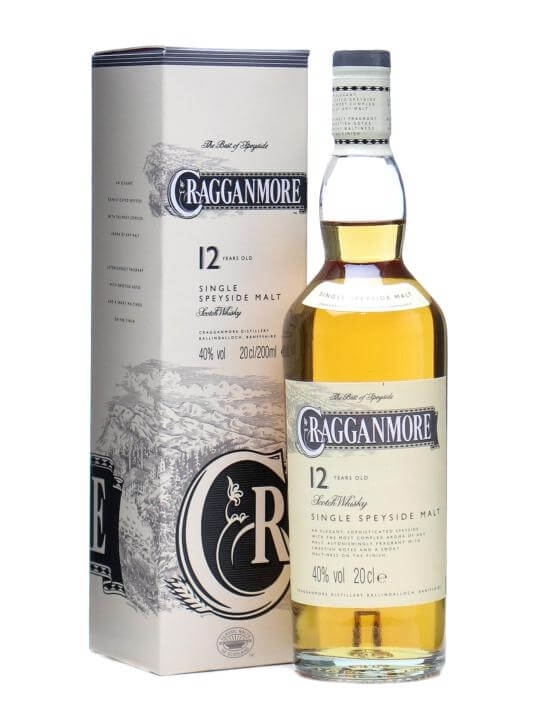 Cragganmore was founded in Ballindalloch, Speyside, in 1869 It was the first distillery to take advantage of the railway system for transportation with its own railway siding on the Strathspey route. The distillery was designed by Charles Cree Doig and the stone used came from the local hill ‘Craggan Mor’ (meaning ‘big rock’) which gave the new distillery its name. One of the finest and most complex malts of Speyside, with a complex nose with sweet floral fragrances, herbs, vanilla and some honey.  On the palate there is a strong malty flavour with hints of sweet wood, smoke and sandalwood, and a very long smooth finish with delicate hints of light smoke. Summary: 70cl / 40% / Distillery Bottling – The Speyside representative of the Classic Malts series is rich and spicy, with a very satisfying complexity and well-sherried backbone. 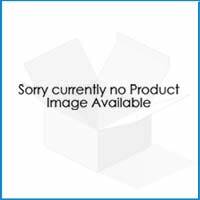 Summary: Founded in 1869 by John Smith (son of George Smith, founder of the Glenlivet distillery) and located in the Grampian region of Scotland. This twelve year old is an elegant, sophisticated Speyside malt, with complex aromas. Amazingly fragrant with a sweetish note and a smokey maltiness to the finish. 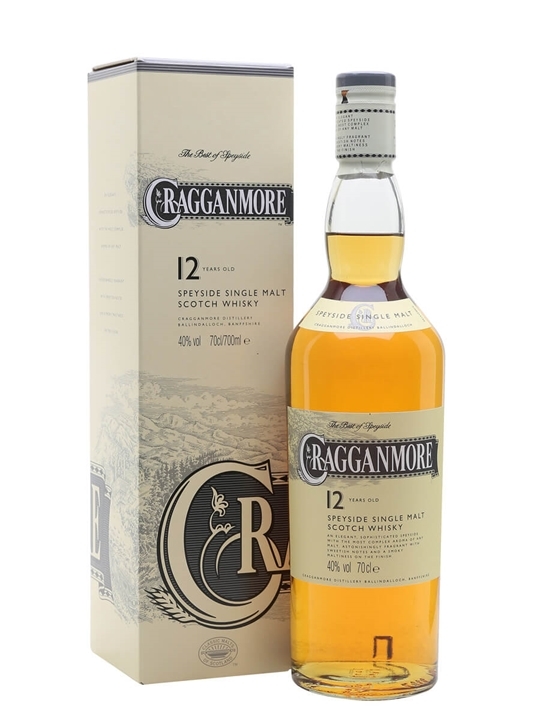 Summary: Cragganmore 12 Year Old Speyside single malt Scotch whisky. An elegant, sophisticated Speyside with the most complex aroma of any malt. Astonishingly fragrant with sweetish notes and a smoky maltiness on the finish. 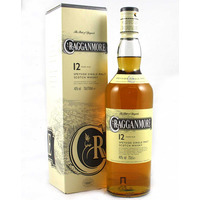 Cragganmore is a Classic Malt of Scotland. 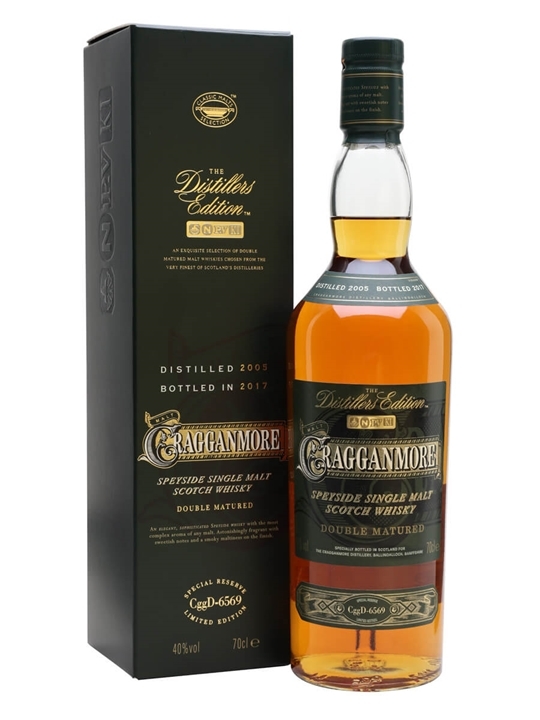 Summary: Cragganmore 2005 Distillers Edition Speyside single malt Scotch whisky. Double matured in Port-wine casks, bottled 2017. Summary: 70cl / 40% / Distillery Bottling – The Cragganmore entry in Diageo's Distillers Edition series is one of the more unusual – it is finished in port pipes for extra sweetness and fruity depth. This is the 2005 vintage, bottled in 2017.